Renadyl is a natural option to maintain healthy kidney function and improve quality of life. and reduces the burden placed on the kidneys. We know this because we’ve conducted 3 clinical trials with Renadyl in leading Universities around the world. For more information about clinical trials and studies conducted with Renadyl check out www.kibowbiotech.com/rd. Reducing the levels of nitrogenous waste products is important to people with reduced renal function because it helps improve their overall quality of life. Nitrogenous waste products such as urea, uric acid, and creatinine have been documented to adversely impact the quality of life. 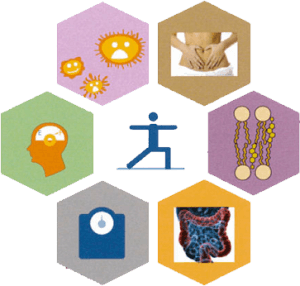 Renadyl’s™ patented “enteric toxin reduction technology” is able to metabolize and remove these molecules from the body. Probiotics are well documented for their safety when given for extended periods of time. Probiotic bacteria can be found in the foods we eat every day like yogurt, cheese, sauerkraut, and so many more. The only side-effects people taking Renadyl™ have experienced are minor gas and bloating which subsided after two weeks. For maximum effectiveness, please keep Renadyl refrigerated. Please consult your physician prior to taking this product or any other dietary supplement. Orders are generally shipped within 24 hours of receipt. Renadyl is now fully stable without refrigeration for at least 2 weeks and maintains effectiveness without the need for cold shipping. Upon receiving, please store Renadyl in your refrigerator between 39-45 degrees Fahrenheit (4-8 degrees Celsius) to maintain maximum effectiveness. Do not freeze. 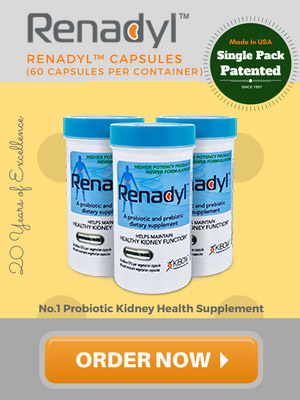 Renadyl™ is a highly effective probiotic supplement that contains 45 billion live probiotic bacteria per capsule. 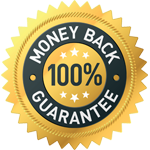 RenadylTM is 100% natural and is enclosed in an acid-resistant capsule to ensure that the probiotic bacteria are not destroyed by gastric or bile acids before they are released into the bowel. With the improved Renadyl™ formulation, take 1-2 capsules twice daily with a meal, or as suggested by your healthcare professional. It is important to note that Renadyl™ should be used for a full 3 months to receive its full benefits. These statements have not been approved by the Food and Drug Administration. This product is not intended to diagnose, treat, cure, or prevent disease. Results may vary.